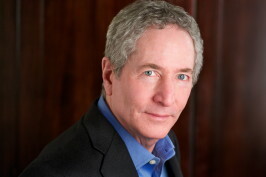 Teleshuttle researches and develops the innovations of founder Richard Reisman, in collaboration with partner companies. These innovations are driven by a user-centered focus on empowering people – applying powerful interactive tools and media for communication, collaboration, culture, and commerce. Teleshuttle was founded by Reisman in 1994 as an innovative online software/service provider. Teleshuttle pivoted to focus on invention and innovation, leading to development of multiple portfolios of Reisman patents, with 52 US patents granted. Over 200 companies have licensed one or more of these patents to serve billions of users, including licenses for use by nearly every major provider of smartphones and many major companies in TV/video. 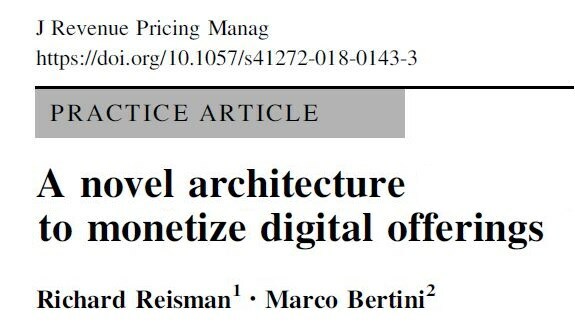 FairPay (public domain*) - An entirely new concept of what a price is and why -- an architecture for efficiently pricing digital content/services in the context of an ongoing relationship. FairPay is based on customer dialogs about value, and develops a buyer reputation based on Internet feedback, to go beyond "freemium," to a far more efficient and dynamically adaptive hybrid of free and paid offerings. FairPay was presented at an MIT Enterprise Forum of NYC symposium on "Better Strategies for Monetizing Digital Offerings" (12/1/11), and in Harvard Business Review (11/18/13) and Journal of Revenue and Pricing Management (2/26/18). 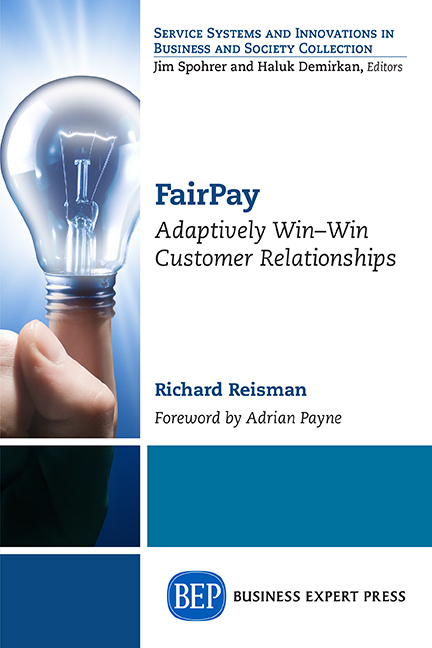 Reisman's book FairPay: Adaptively Win-Win Customer Relationships was published in 2016. Teleshuttle is working on a pro-bono basis with industry and academic partners on research, trials, and applications of FairPay, and offers free consultation services. "The Augmented Wisdom of Crowds" (public domain*) – Advanced methods and a broad architecture for collaboration, ratings, rankings, and reputation management, relevant to social media and wider aspects of digital democracy. CoTV (Sold) - Coactive TV  provides a rich platform for the growing trend toward multi-screen viewing and simultaneous, or coactive, use of TV and the Web. CoTV creates a powerful new compound medium that fully maintains the best of both (and works with ordinary TVs and PCs/tablets/phones as companion devices)  while riding the trend toward user-centered media multitasking in the wireless, networked home. Fifteen Reisman CoTV-related patents have issued, with more allowed or pending. These patents were licensed to RPX Corporation member companies as of 3/10/15 (including many major companies in the TV/video and smartphone/tablet space). Search and the Social Web and Semantic Web (Sold) - A portfolio including seven patents issued in 2005-2014, with others pending. Sold 7/6/09 to RPX Corporation, the first defensive patent aggregator. Smart clients, Internet push distribution, and software update (Sold) - In the early 1990s, Teleshuttle developed a patent portfolio that was later licensed to BTG International for commercialization. This portfolio includes nineteen patents awarded in 1997-2014. BTG's licensing efforts led to patent infringement suits against Microsoft and Apple. On 3/31/06, BTG announced the sale of these patent rights for $35 million, plus a share of future profits, and that BTG and Teleshuttle would no longer pursue those suits. Continuing licensing efforts were then undertaken by Intellectual Ventures (with Microsoft and Apple believed to be investors). --Digital media storage and asset management (sold) -- innovative dynamic compression methods for squeezing more photos or videos into a "full" device. Consulting clients have included News Corporation/TVGuide, Dow Jones/Telerate, Euro RSCG/MVBMS, HealthScout/RxRemedy, AppliedTheory Communications, and BTG International, as well as Intellectual Ventures, RPX Corporation, and other prominent companies in the Intellectual Property space. Teleshuttle is not currently seeking paid consulting work, but selectively offers pro-bono consulting on FairPay without fee. Reisman is an innovator and thought leader, advancing powerful interactive tools/media for human communication, collaboration, culture, and commerce since long before the Web. His media experience includes developing and marketing CoTV at Teleshuttle, a senior management role at HealthScout.com, leading the design and development of News Corp's original TVGuide Online service through market testing in the early '90s, managing development for Baseline (since acquired by The New York Times), and very early involvements in hypermedia, interactive graphics, and online communities. See Bio for additional background.